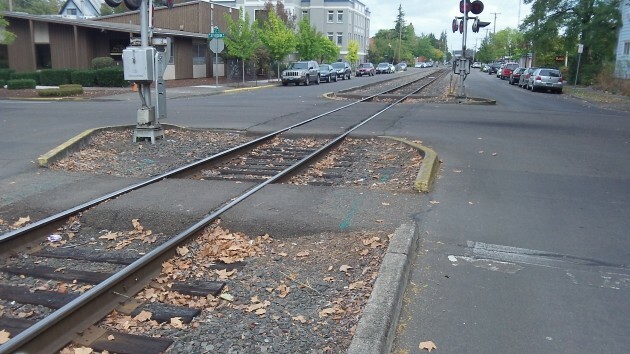 Sixth Street in Corvallis: Who you’re gonna believe, your eyes or your GPS?. If you want to be reminded of simple rules for staying out of trouble, just take a casual glance at the summarized activity log of the Benton County Sheriff’s Office. Rule No. 2: Don’t forget your cell phone when navigating the Willamette River after telling people you’ll meet them at a landing at a certain time. On Sept. 14, about 10 minutes before 8 at night, deputies went to Hyak Park after getting a call that two people had gone to float down the river from Corvallis and had not turned up by evening. “Deputies arrived and spoke to the caller. Shortly after deputies arrived, the two people arrived safely.” Now they know: It always takes longer to go down the river than you think, and if people are waiting, it’s nice to be able to tell them you haven’t gotten stuck or drowned. Both should be “driving while encumbered”, and that one law would cover a multitude of driving sins from dogs in laps to smoking while driving. Am I correct in assuming that there already are “distracted driving” laws on the books?